I'm really glad this did well in this tough challenge. This was taken on my honeymoon and I caught a bit of hell for it. Down the corridor of our hotel in Paris. The "we" is really "she," and yes, it was very scary. Well done Scott and congrats for both your top 10 score, and your marriage! Lots of empty space draws the eye to the middle, I find it dark, moody, and interesting. Well done! 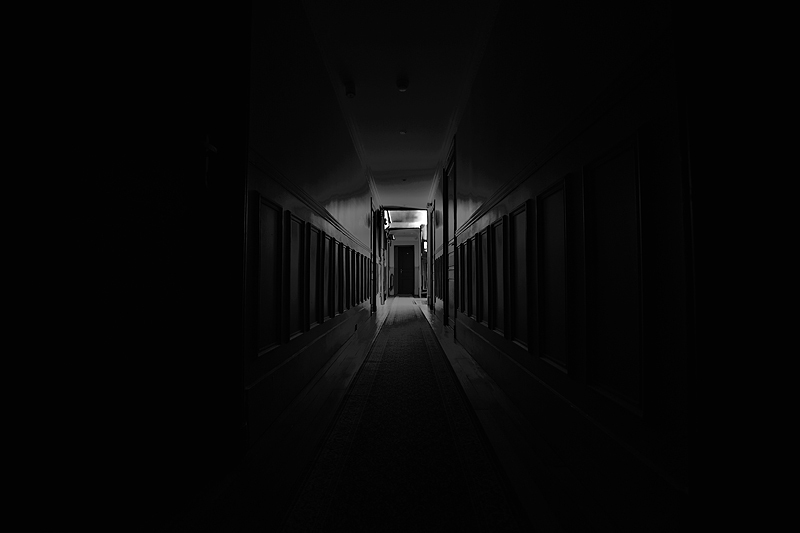 Somehow this reminds me of the corridors from the movie "Shining". Very eerie and mysterious :) Nicely executed. My top 5. That's scary. I like the feel of closing-in due to the perspective. Makes chills run up my back! Great DOF and your subject and processing is just great! Proudly hosted by Sargasso Networks. Current Server Time: 04/21/2019 01:06:44 PM EDT.